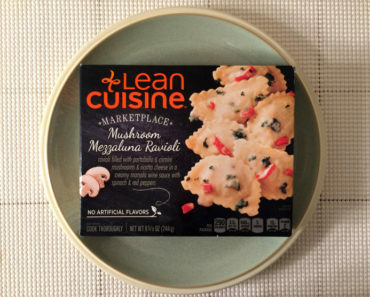 We’re not huge Lean Cuisine fans at Freezer Meal Frenzy, but we’re still willing to sample their products from time to time. 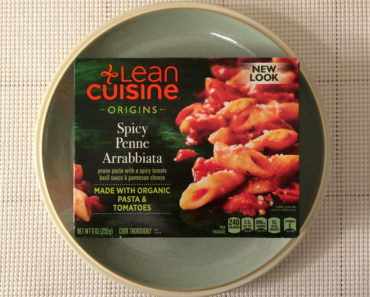 Their products are affordable, they have a huge selection, and they occasionally impress us. 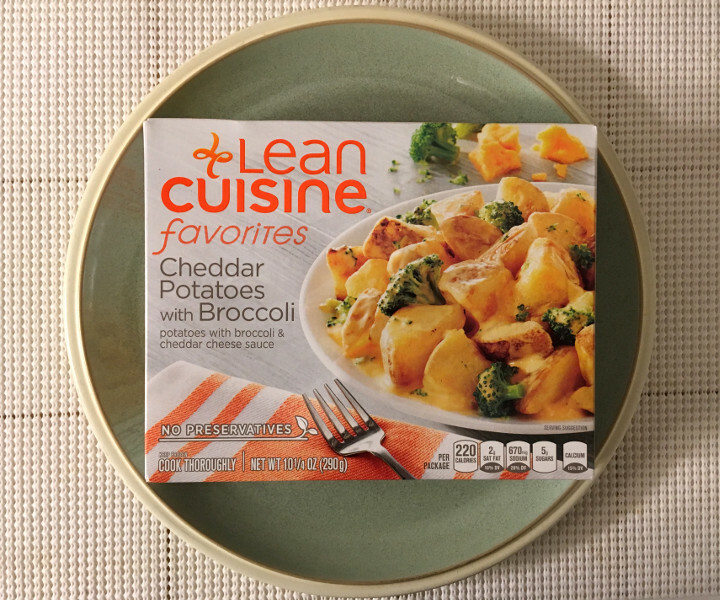 Since we also love potatoes, we were more than willing to check out the Lean Cuisine Cheddar Potatoes with Broccoli. We were a little surprised when we saw how long it took to cook these potatoes. They have to be heated for about three minutes, stirred, and then cooked for another three minutes. 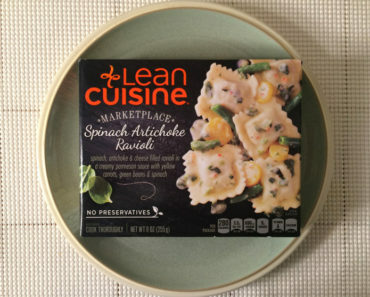 That’s getting into frozen lasagna territory! Thankfully, we had six minutes to spare, and we were able to heat our potatoes up without any real problems. The cheese here reminds us a lot of Velveeta cheese. 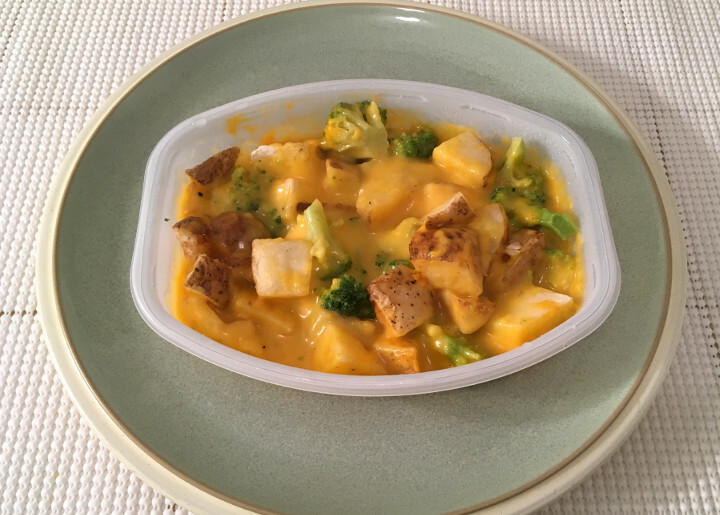 We don’t necessarily that sort of gooey cheese sauce, but the flavor isn’t bad, and it work with the potatoes. The potatoes are a little bland on their own, but there’s more than enough cheese sauce to coat them thoroughly. We were pleasantly surprised by the broccoli in this meal. It’s got a nice crispness to it, and it doesn’t taste like it was microwaved. Cheese and broccoli are a great combination, but we actually think this broccoli is good enough to eat on its own. If there was a little more food here, like some sort of protein, the broccoli could take this from a so-so dish into a decent meal. 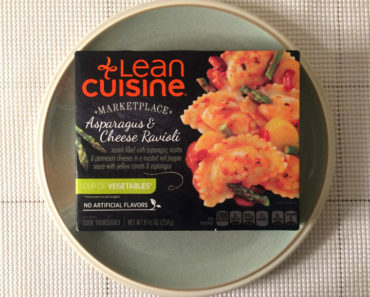 As is, we can’t really recommend Lean Cuisine Cheddar Potatoes with Broccoli; they’re not substantial enough to eat on their own, and they’re not tasty enough to suggest as a snack. 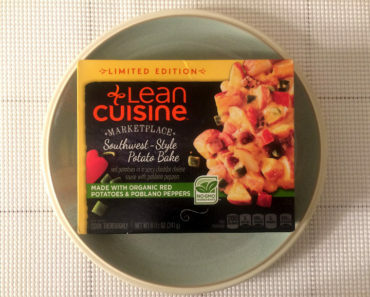 Still, if you’re desperate for cheesy potatoes, this is a fast and simple way for you to satisfy those cravings. 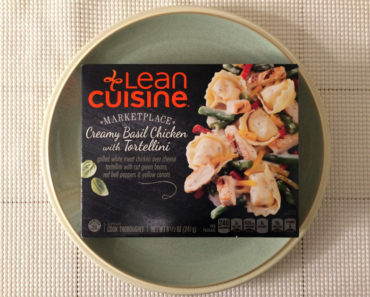 To learn more about the nutrition content or ingredients in this Lean Cuisine frozen food, check out our package scans below.